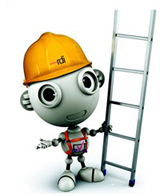 Satellite TV Installers, Sky Installation, Satellite Installation Lancaster, Freesat Installers, Freesat HD, Sky TV Installers, Sky+ Installer, Sky HD Fitter, Foreign Satellite Install, Servicing, Sky Multiroom, Satellite Dish Repair, Satellite Dish re alignment, Satellite Cable Replacement, High Access Sky installations Lancaster. 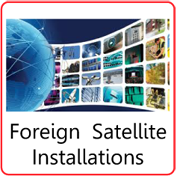 Julian Voigt Satellite Installations Lancaster are fully qualified, Approved and certified independent SKY Satellite TV installers. So for all sky TV related enquiries, such as SKY+ installation SKY HD installation, SKY Multi room installations etc we are more than qualified to provide you with the right advice and service. 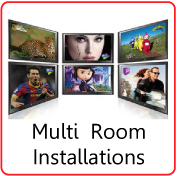 As Sky Installers for Lancaster we are able to install Sky, Sky+ & Sky HD, as well as Sky multiroom. We offer standard Sky Installation or we can do a discreet Sky installation if this is required. Want to watch Sky TV in more than one room? Install Sky Magic Eye Remote's! Ask us about Sky Magic Eye Installations, Lancaster & Sky Fitter Lancaster. Have even the High Access team been unsuccessful in fitting you the sky system? This sometimes can happen due to the limits and restraints sky put on their own engineers. 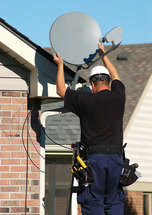 In 9 out of 10 cases we can fit and install the sky Dish and system, where SKY have refused to do so. See our very unique way of getting a cable over a normally inaccessible apartment roof! 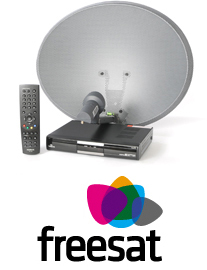 Freesat is a free-to-air digital satellite television joint venture between the BBC and ITV, serving the United Kingdom and offers a satellite alternative to the Freeview service on digital terrestrial television. 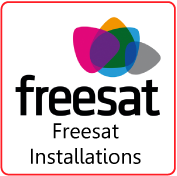 We are able to install and provide Freesat, Freesat+ & Freesat HD Satellite TV. Sick of having to pay a monthly subscription to sky or virgin, this is a great solution. TV Wall Mounting Service Lancaster & Wall Mounting your Flat Screen TV. LCD Plasma TV installations & Wall Mounting for your Flat Screen TV, Lancaster. Here at Julian Voigt Satellite, Lancaster, we can install , and tune your new LCD or Plasma TV to your Digital Aerial or Satellite system or even both, as well as providing a Wall mounting service for flat screen television. Glitches & No Picture: There are quite a few reasons why you maybe experiencing problems with your picture, sound & reception. 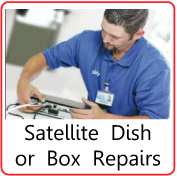 Satellite dish re alignment, satellite receiver repair and replacement service.Whatever the problem with your satellite TV Julian Voigt Satellite are able to resolve this issue.